Cheryl Hildebrand, the fount of knowledge for local writers and my former high school English/Yearbook/Journalism teacher is always encouraging me to write more, but I have found that time isn’t always as giving of itself as I would like for it to be and subject matters don’t always present themselves. Recently, however, a conversation with friends led to the subject of music and which artist or songwriter did we know the most songs and lyrics from. One said the Beetles. Another mentioned Elton John and yet another said Taylor Swift. I made a joke and said “Charles Wesley”, which prompted some “who?” responses but one at least did know who I was talking about. While I meant this as a joke, it really is the truth. In fact, I think it would be the truth for many United Methodists because we do love our old hymns, we probably know more hymns from the Methodist Hymnal than any other musical source and Charles Wesley probably wrote the largest number of them. We’re indoctrinated with them very early, in my case within weeks of my birth. My son heard his first hymns when he was four days old, the newest member of his church, held by the newest mom in the church, on her first Mother’s Day. My father, being the son of a Methodist pastor and his wife probably learned them very early as well, though I’m not sure how many he retained. My profession of knowing more church music than any other kind led me to wonder exactly how many I did know well enough to claim so I decided to find out for myself. My criteria were simple: I had to know both the tune and at least the first verse and refrain of each one without looking at the words, and to my surprise, out of the entire United Methodist Hymnal, I knew 178 of them well enough to claim them. 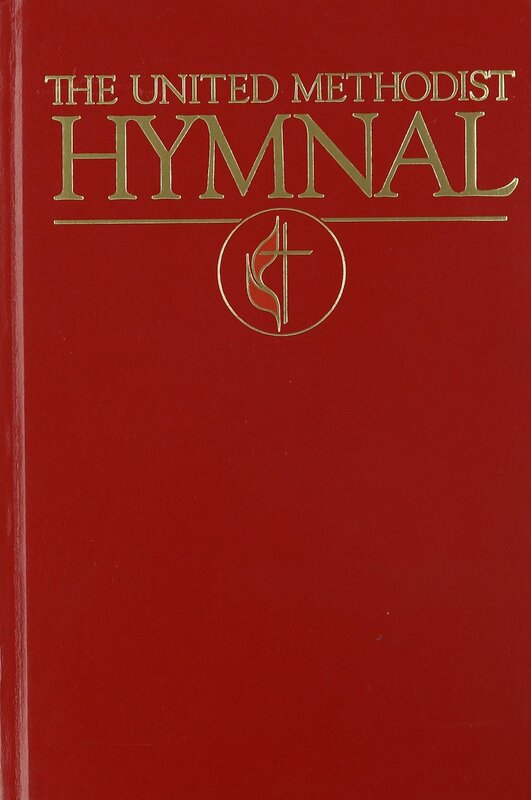 I’d be willing to bet that my grandmothers both knew more, because some of the hymns they grew up with were not included in the 1989 edition that United Methodist churches use today, though they can often be found in the old hymnals that our choir still uses from time to time. Hymns, and church music in general, have always been special to me, probably because they haven’t changed a lot and I closely associate them with over 50 years worth of memories in my home church. They remind me of people who were special to me in life and remembered fondly in death. They remind me of Christmas and Easter occasions, youth fellowship gatherings and patriotic gatherings. In essence, they offer a long, unbroken line from now to then, and all the people who have shared and who still share a spiritual journey with me. This doesn’t mean that I love them all or even like all of them. There are a few that elicit a groan whenever I open up the Sunday bulletin and see them printed there. There are others though, that seeing them printed in the bulletin brings a sense of anticipation and even joy in knowing that we will be singing them, together, as a group later that morning. Singing is part of who Methodists are, talent for it notwithstanding. Yes, I have certain standards about hymns and I’m not ashamed of it. My wife no longer laughs when I refer to “Morning Has Broken” as contemporary music because it was written in the 20th century. Now she just rolls her eyes at me. I’ll admit that hymns by Charles Wesley, J.B. Dykes and others resonate more strongly with me and that holding a hymnal is far more satisfying than reading lines on a screen but those are my preferences. Hymns mean different things to different people and some that are not my favorites are likely beloved by others and vice versa. I also know fully well that just because a hymn is in the United Methodist hymnal, it doesn’t mean that it is an exclusively Methodist song. Our Christian hymnody is shared by a lot of denominations, including Baptists, Presbyterians, Episcopalians and others…in fact, it’s a connectional value that is shared and which helps people feel more “at home” when visiting churches of other denominations, attending memorial services or weddings and community prayer events. Even when our specific beliefs diverge, our music is very common among us all, helping to be one of the ties that bind. After nearly 30 years, a new revision is being planned for publication and there is already speculation about which of the old hymns will make the cut and which ones won’t. I’m betting on a lot of my favorites and a few not so favorites staying put and in this article I thought I would share 20 of them and what I enjoy or don’t enjoy about them. It’s by no means a complete list but I’m sure you’ll recognize a few and I’d be interested to hear what some of yours are too, favorites or not so favorites. Amazing Grace-probably one of the best known hymns in the book and one of the few that most folks know all the verses to. Often sung at funerals, but suitable for any church occasion. More variations of styles available from iTunes than probably any other hymn and the only one I’ve ever been asked to sing at a funeral. I was smart though and procured a Baptist piano player to accompany me because she make it lively and happy, versus sad. This hymn can go either way. Holy, Holy, Holy. One of the most powerful hymns in the book, best sung with a full choir and a loud pipe organ. J.B. Dykes outdid himself on this one and it ended up being the wedding processional song at our wedding. Happy and joyful while reverent come to my mind. Play it loud Martha Jo. Joyful, Joyful We Adore Thee. Based upon Beethoven’s “Ode To Joy”, this is a favorite because it brings the legendary composer into a church setting with what is likely one of his best known pieces of music. I’ve heard a gospel choir sing it once and it brought the house down. Definitely a keeper. A Mighty Fortress is Our God. Another powerful hymn, and the opening song to an animated TV show I used to watch early on Sunday mornings called “Davey and Goliath”. While the animation technology has vastly improved since then, the hymn was already as good as it gets. Guide Me O Thou Great Jehovah/Redeemer. The British prefer “Redeemer” in this hymn by John Hughs, but either way, it is powerful enough to have been featured prominently at both funerals and weddings of British royals for some time now. “Bread of Heaven” is also a title it is known by, from the popular refrain. A staple of high church worship. All Hail The Power of Jesus’ Name. There are actually two versions of this. The lesser known “Diadem” version is not often sung in our church, perhaps because it is more difficult, but it is actually the better version in my opinion. The extra effort pays off in the final result. Pretty much most of the Christmas hymns. Joy To The World, O Come All Ye Faithful and Hark the Herald Angels Sing are my favorites for their power but never underestimate “Silent Night” for its simple beauty. Once In Royal David’s City combines several of the best elements of both…whatever the case, I just like it. When sung by candlelight, it’s even better. Christ the Lord Is Risen Today. We only play it on Easter Sunday morning, but is there a more impressive expression of that holy day than this one? It demands to be sung. Up From The Grave He Arose. 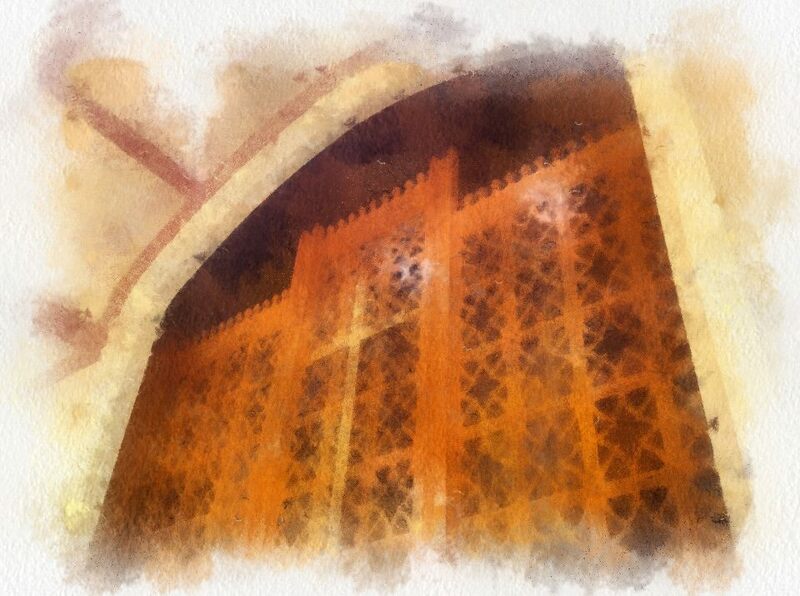 When we were kids, we would stay seated in our pews in the balcony until the title refrain, upon which we would stand up. We thought we were so funny doing the wave like that. Another Easter favorite. Rock of Ages. This song conjures images of a small congregation singing along to my great aunt Louise’s accompaniment on the piano at Jenkinsburg. It’s not a favorite, being a bit a slow and ponderous but it brings back good memories of small church worship and knowing that a big covered dish lunch between the Baptists and Methodists was soon to follow. And Can It Be That I Should Gain. This is one of the hardest hymns in the book to sing, especially if you don’t know it. A favorite of our current pastor, who tried bravely to get our congregation to sing it not long after he got here, it tends to run long and doesn’t flow as easily as many of Charles Wesley’s hymns. The first time he had us sing it, our congregation made a shambles of it and I thought I had heard the last of it, but a few weeks later, I attended Camp Meeting at Indian Springs to make a presentation and we sang it there, this time with 700 people who knew how to sing it and were joyful in doing so. There is tremendous power to the music and I found myself carried away with it to the point I had difficulty speaking afterwards. More than that, the words Wesley wrote are some of his very best and they tell a story about his personal conversion and acceptance of Christ. I look forward to it now and our congregation is getting the hang of it a lot better now. God of Our Fathers. Our current hymnal has changed the title of this mighty piece to “God Of The Ages” in an attempt to be gender neutral. I generally ignore these kind of changes and sing it the way it was originally intended. One of the few hymns I know that opens up with trumpets, either real ones or from the organ and it wouldn’t sound good any other way. Often appropriate for patriotic services. Speaking of patriotic, the “Battle Hymn Of The Republic” is no slacker. Abide With Me. I said earlier that I didn’t like all hymns and this is one of them. It was played at my grandmother’s funeral, almost as a dirge, and to this day it is one of the most depressing hymns in the book…but the words are poetic and appropriate to the setting and I imagine it will stick around a long time to come. When We All Get To Heaven. This one is fun and joyful to sing and reminds me that someday we will all reunite with those we loved and still miss. For All The Saints. I don’t think I knew this song until Alice Rogers came to our church but it was one she routinely had sung on All Saints Day and it wouldn’t be a proper day with out it now. On Jordan’s Stormy Bank I Stand. This is a lively hymn that I would sing to myself on my way to my grandmother’s house for Sunday lunch. She would not have been happy that I changed the words of the refrain to “I am bound for the promised ham” but rewriting hymn lyrics in my head has always been fun to do. It Is Well With My Soul. I realized I was a better tenor than a bass when I sang this song with my wife’s entire family at a service honoring uncle. It is both pastoral and powerful, a winning combination in my book. That’s 20 of them (plus a bunch of Christmas hymns) and each one is unique and tells a story, all joking aside. Music is often used as a teaching tool in the memorization of words, which is probably why Schoolhouse Rock worked so well in the 70’s. However it was that we learned them, they somehow managed to find their way in and made an indelible impression that many carry with them throughout their entire lives. People were meant to sing (some more than others) and it’s part of our makeup and who we are. In the church, our voices, great and small, good and bad, unite as one and in doing so, God is glorified.